Before you jump in, we strongly recommend you take a quick one minute tour of the site. Click Start Tour below to get started, and don't forget, if you leave the tour at any point, just click the Tour link at the bottom of this page to start over. 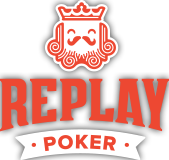 This short, one minute, Dashboard Tour will guide you through some of the major features of Replay Poker. Ring Games are single-table poker games which you can enter and leave, when you like, just as long as you have enough chips to pay the minimum buy-in. Here on the Dashboard we suggest three ring games you might like to play. If you head over to the Lobby there are hundreds more to choose from. Click Play Now to sit at that table, and click Quick Play to be seated at random. Poker Tournaments are a lot of fun and let you compete against a few or hundreds of players at a time. Multi-Table Tournaments (MTTs) start at a scheduled time, often with hundreds of players. Sit & Go Tournaments (SnGs) start when enough players have registered and may include a maximum of between 3 and 27 players. Click Register to reserve your place in the tournament. If you head over to the Lobby you'll find many tournament games to choose from. The Lobby takes you to our full selection of Ring Games, Sit & Go Tournaments, and Multi-Table Tournaments. If you like having control over exactly which poker game or tournament to play in, then the Lobby is the place to go! Here you'll find our current and past promotions, as well as our monthly leaderboards. We run permanent promotions, available all-year-round, like our Daily Freerolls, and seasonal promotions to celebrate special events like Saint Patrick's Day. Our monthly leaderboards let you compete against other players in MTTs and SnGs at different stake levels. Here we show how many play chips you currently have, also known as your bankroll. If you click this amount, we'll take you to a page that lists all your recent bankroll transactions. Click on Get Chips to discover ways to build up your bankroll. If you ever drop below 500 chips, head over here to top-up with an extra 2,500 free chips! If you need more help, clicking here is a great place to start. You'll be able to browse our help section or contact our awesome support team. We love hearing your feedback and suggestions so do get in touch. OK, so that wraps up our tour, thanks for your time! You don't have any ticket transactions yet.